1. 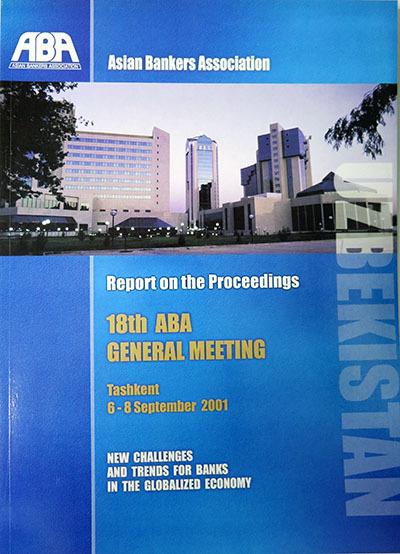 The 18th ABA General Meeting and Seminar was held on 6-7 September 2001 in Tashkent, Uzbekistan. Hosted by the National Bank of Uzbekistan (NBU), the two-day meeting focused on the theme ”New Challenges and Trends for Banks. 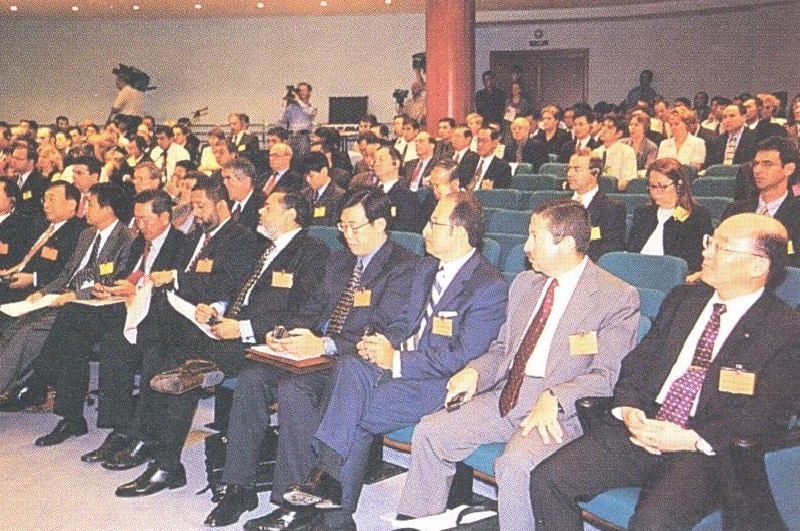 in the Globalized Economy” and was attended by over 250 high-ranking banking executives from 26 countries in the region. 2. The 30th ABA Board of Directors’ Meeting, as well as a meeting of the ABA Advisory Council, were also held in conjunction with the 18th General Meeting and Seminar. 3. A Message from H. E. Mr. Islam Karimov, President of the Republic of Uzbekistan, was read by the Deputy Prime Minister of the Republic of Uzbekistan, Dr. Rustam S. Azimov. In his Message, President Karimov cited the progress achieved by his country during the ten years of independence since 1991, particularly in the banking system which he said has served as the locomotive of structure change and helped shaped a new profile of the country’s economy. 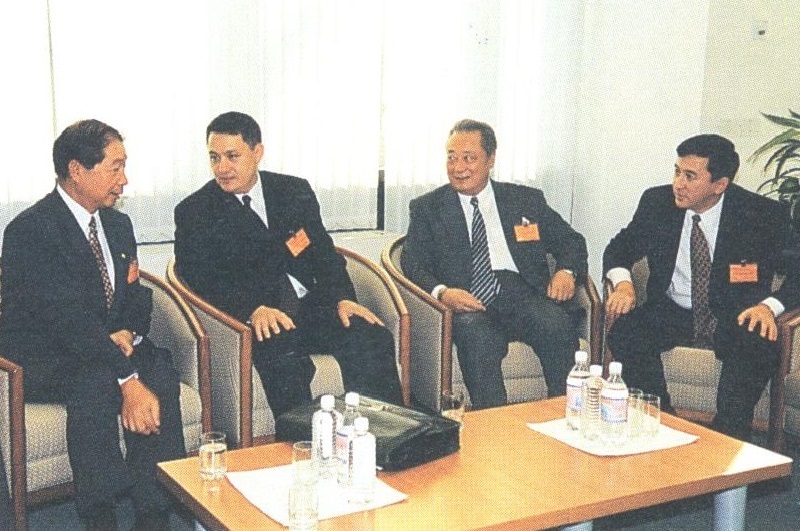 He pointed out that during the past ten years, Uzbekistan has formed a stable two-tier banking system that complies with international standards, and its wide network of commercial banks is steadily functioning, with many of them having established reliable links with leading banks in the world. He expressed hope that cooperation between Uzbekistan banks and the ABA will restore the old links built during the era of the Great Silk Road and help promote economic cooperation. and investments throughout the Asian continent. The full text of President Azimov ‘s Message is attached as Annex A1. 4. In his Inaugural Address, Deputy Prime Minister Dr. Azirnov said that the process of integration is a necessary and powerful factor for sustaining economic growth of Uzbekistan. He pointed out that the major challenges for the country are, first, the· undertaking of structural reforms to serve as solid foundation for development, and second, the integration of the country ‘s economy into the regional and global markets. He stressed that in implementing economic reforms, it is equally important to build up a sound banking system. Good banking supervision by the central bank, transparency of management of commercial banks, adherence by banks in their auditing requirements to international standards, and conservative foreign investment policy are some of the policy tools necessary to have a strong banking system. He said that the realities of international development trends underscore the need for further strengthening cooperation efforts on sub-regional basis. He expressed hope that cooperation based on historical ties between nations will create conditions for the· integration and sustainable development of the Asian region. The full text of Dr. Azimov’s Keynote Address is attached as Annex A2. 5. In his Welcome Remarks, NBU Chairman Mr. Zaynutdin S. Mirkhodjaev said that transforming the economy of Uzbekistan from centralized regime to one that is market-oriented is a complicated process. He said that his country therefore needs to learn from the experience of the other countries in the region as well as the cooperation of leading financial and consultative organizations. He expressed hope that the holding of the 18th ABA General Meeting in Tashkent will serve to further develop the banking sector of the country and expand relations of domestic banks with those from countries in the region. The full text of Mr. Mirkhodjaev’s Welcome Remarks is attached as Annex B. 6. In his Opening Statement, ABA Chairman Dr. Yung-san Lee said that globalization opens up opportunities for developing but at the same time it can also generate economic stresses and financial volatility. Dr. Lee observed that while some banks view globalization as going too slow, others see it as going too fast. But for many banks, the challenge of globalization has been further complicated by recent economic problems. The current global downturn, he said, has adversely affected business and balance sheets already weakened by the recent Asian financial crisis. He expressed hope that the meeting discussions would point out some ways to more effectively deal with these challenges The full text of Dr. Lee’s Opening Statement is attached as Annex C.
7. 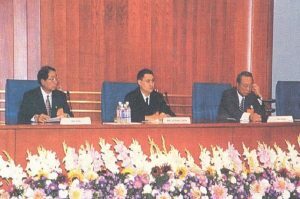 In his response to the Keynote Address of Deputy Prime Minister Azimov, ABA Chairman Emeritus Dr. Jeffrey L. S. Koo expressed his admiration for the people of Uzbekistan for having achieved so much in a short span of only ten years. He credited this achievement to the country’s strong and determined leadership with a clear vision of future prosperity, and to its hard-working people. He extended his invitation to the Uzbek people to visit Taiwan and see for themselves the kind of transformation and progress that can be achieved by persistent effort and effective leadership. The full text of Amb. Koo’s Response is attached as Annex D.
8. This year’s meeting also featured a seminar that looked at how rapid economic globalization is affecting the banking sector in Asia. The seminar focused on four major topics: the ongoing consolidation in the banking sector, the challenges of non-­performing loans, the integration of emerging economies in the international financial market, and the impact of changing international supervisory norms. 10. Invited as commentators and panelists were Mr. Nik Mohd Nasir bin Ab Majid, Head, Corporate Planning Division, Malayan Banking Berhad; Mr. Jong Wook Kim, Deputy President, Hanvit Bank; Mr. Steve Chou, Senior Executive Vice President and Deputy General Manager of Corporate Banking Group, Chinatrust Commercial Bank; Mr. Hugh Baylis, Senior Banker and Head of Trade Facilitation Program (EBRD); Mr. Kenji Nakazawa, Head of Tashkent Resident Office, European Bank for Reconstruction and Development (EBRD); Mr. Amitabh K. Narain, Chief Executive Officer, State Bank of India, Hong Kong; Mr. Leonid Delberg, President, BGS Smartcard Systems; Mr. D. E. Setijoso, President Director, Bank Central Asia; and Dr. Julius Caesar Parreñas, Senior Advisor, Taiwan Institute of Economic Research. Chairing the two main seminar sessions were Dr. Wang Heh-Song, Senior Vice President and Chief Economist of International Commercial Bank of China; Ms. Svetlana P. Tischenko, First Deputy Chairman of the Board, NBU; and Mr. Nariman T. Mannapbekov, Head of FEA&I Department, Cabinet of Ministers of the Republic of Uzbekistan. 11. The seminar participants agreed that rapid economic globalization, driven by the revolution in technology, presents a challenge for banks nowadays. The disintegration of barriers and the speed with which market players emerge and expand are among the main factors behind the increasing competitiveness of today ‘s marketplace. 12. Members noted that the impact of globalization is evident in the ongoing consolidation occurring in most sectors of the economy. In the banking sector, consolidation has clearly been driven to a large extent by technology, but also by increasing competition and changing policies and regulatory frameworks. The management of merged financial institutions is also a challenge in itself for Asia’s banks, made even more formidable by current financial sector weaknesses. The seminar discussed issues related to the ongoing consolidation in Asia’s financial sector, and how the region’s banks can effectively manage their way through this process, taking advantage of technology, in order to enhance their global competitiveness. 13. The seminar participants also discussed the issue of non-performing loans. 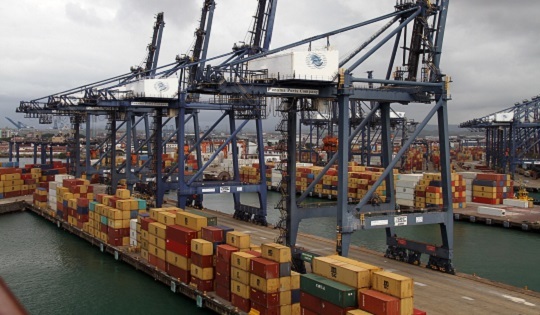 They observed that many of Asia’s economies have experienced difficult periods over the past few years that have been preceded by rapid expansion. The recent financial crisis struck many Asian economies at the end of an economic boom. A rise in non-performing loans has been a consequence of these processes, threatening banks and the stability of financial systems in the region. Members agreed that much can be learned from successes and failures in dealing with the problem of non-performing loans over recent years across countries, especially where both governments and banks have been very closely involved. 14. The seminar delegates exchanged views on ongoing financial reforms in emerging economies and economies in transition. They noted that the spread of capital account liberalization during the past two decades has increased developing economies’ participation in international finance. At the same time, political changes have led to the emergence of transition economies. The crises of the past decade, however, have also demonstrated the need for stronger financial systems that are underpinned by adequate regulation and supervision, improved transparency and good governance. As a result, a lot of attention has recently focused on financial sector reforms in developing and transition economies. 15. Delegates also discussed the role of international standards in promoting the stability of financial markets. They observed that governments, multilateral institutions and businesses are according greater importance to this issue. For the banking sector, the Basie Committee on Banking Supervision is now revising the capital requirements originally introduced in 1988 to remedy weaknesses that were made apparent by recent financial crises. Seminar participants discussed how tl1ese developments will affect Asian banks in the context of consolidation efforts within the region’s banking sector. Report of the Secretary-Treasurer – The Board adopted the Report of the Secretary-Treasurer highlighting the activities of ABA since the 29th Board of Directors’ Meeting held in September 2000 in Istanbul, Turkey. Membership Report – The Board ratified the membership applications of Commercial BT, Nonghyup Bank and Aware Macs Ltd.; accepted the withdrawal of eight member banks; and agreed to delete the names of two delinquent banks from the membership list. The Board also agreed to create an ABA website to help promote the Association and encourage the entry of new members. Financial Report – The Board approved the Audited Financial Report for 2000, and noted the unaudited Financial Report for January-June 2001. 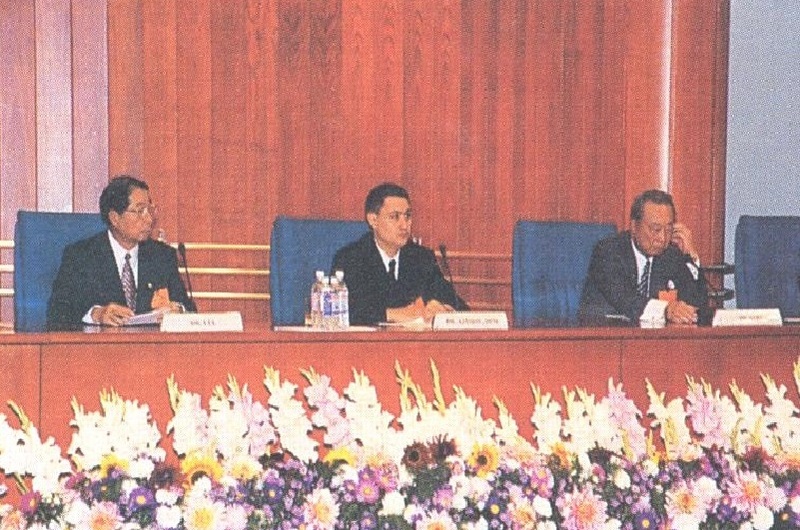 Budget for 2002 – The Board approved the draft Budget for 2002. Advisory Council Membership – The Board endorsed the Advisory Council’s recommendation to include in the Council’s membership farmer central bank governors or finance ministers; farmer CEOs or chairmen of member banks; and eminent bankers recommended by ABA Board members. ”Best Bank” Award – The Board approved the proposal to conduct an annual selection of the region’s best bank. 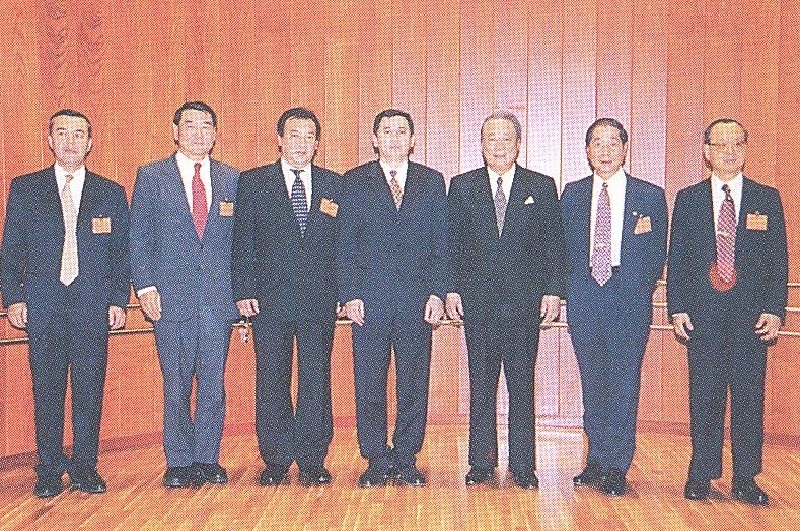 ABA Position Paper – The Board approved the ABA position paper which called on the region’s governments, financial sector regulators, multilateral financial institutions and other relevant regional organizations to intensity their efforts in the pursuit of the development of Asia’s local currency bond markets. The paper stressed the key role of credit rating agencies (CRAs) in the development of corporate bond markets and cross-border investment, and urged regional bodies and institutions, especially APEC and the ADB, to support initiatives to improve reliability and comparability of credit ratings in the region. Policy Advocacy – The Board agreed to shift the focus of ABA’ s policy advocacy efforts from bond market development to the new Basel accord – or the so-called Basel 2 – and its ramifications for Asian banks. 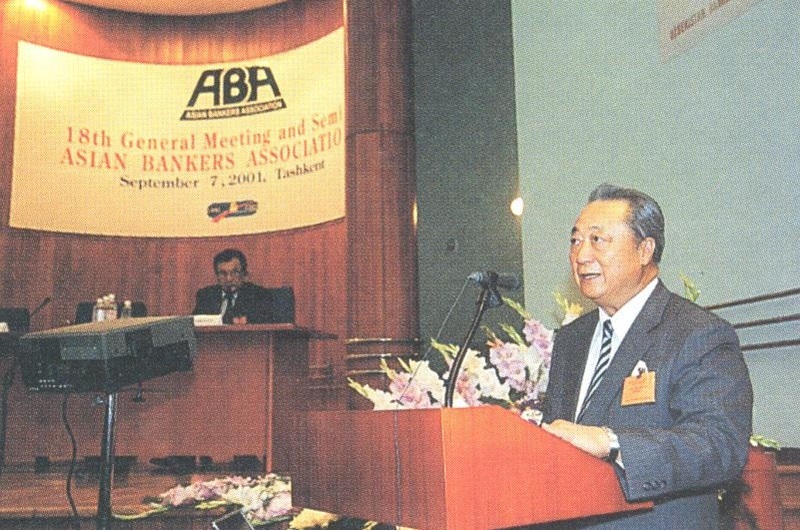 19th General Meeting and Seminar – The ABA agreed to hold its 19th General Meeting and Seminar in Seoul, Korea in the early September, 2002. 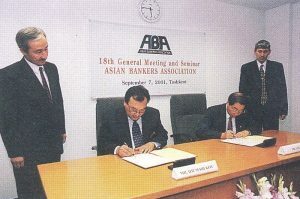 The exact dates, venue and theme of the meeting will be determined by the ABA Planning Committee in consultation with the host bank, Chohung Bank of Korea. Policy Advocacy – In line with its policy advocacy program, ABA submitted a position paper entitled ”Promoting the Development of Domestic Credit Rating Agencies in the Asia-Pacific Region” to the APEC Finance Ministers, the APEC Business Advisory Council (ABAC), the APEC Secretariat, the Asian Development Bank, the ADB Institute, and the heads of the various Asian credit rating agencies. ABA co-organized the Asia-Pacific Bankers Congress in Bangkok on 23-25 May 2001. The Congress was well attended, with a total of about 220 paying registrants. ABA members picked up 10 of the 16 awards given out at the Asian Banking Awards. More significantly, one of the Board Members and former ABA Chairman, Dr. David K. P. Li of Bank of East Asia Ltd., bagged the Lifetime Achievement Award this year. Amendment to ABA Charter on Composition of Advisory Council – ABA expanded the composition of the Advisory Council to include not only former ABA Chairmen, as currently called for under the ABA Charter, but also other eminent bankers who are talented, knowledgeable, and dynamic. Membership Campaign – ABA admitted three new members: the National Agricultural Cooperative Federation (or Nonghy up Bank) of South Korea, CommercialBT of Australia, and the Aware Macs Ltd., otherwise known as the Peoples Bank Movement of India. 18. The ABA signed a Memorandum of Understanding (MOU) with each of the following institutions: the National Bank of Uzbekistan, the Asaka Bank, and the Uzbekistan Banking Association. The MOUs called for cooperation between ABA and the three organizations in, among others, information exchange, training programs, product development and research activities, and providing assistance to their respective memberships. 19. The Meeting approved the Press Communique highlighting the activities, discussions and major decisions made during the meeting. A copy of the Press Communique is attached as Annex F.